I had made a point of not buying these tankards but Val had some going spare at her garage sale. I've only now got round to looking at the numbers. The number gets a bit lost in the glaze and the crazing. I took a photo but you just can't make it out. Ev, the drawing you have at 1487 in the gallery atm has four different sizes of stein. I wonder if we have 1487, 1488, 1489, and 1490: the numbers are vacant. This one is definitely 1487, so I'm thinking it is the smallest. 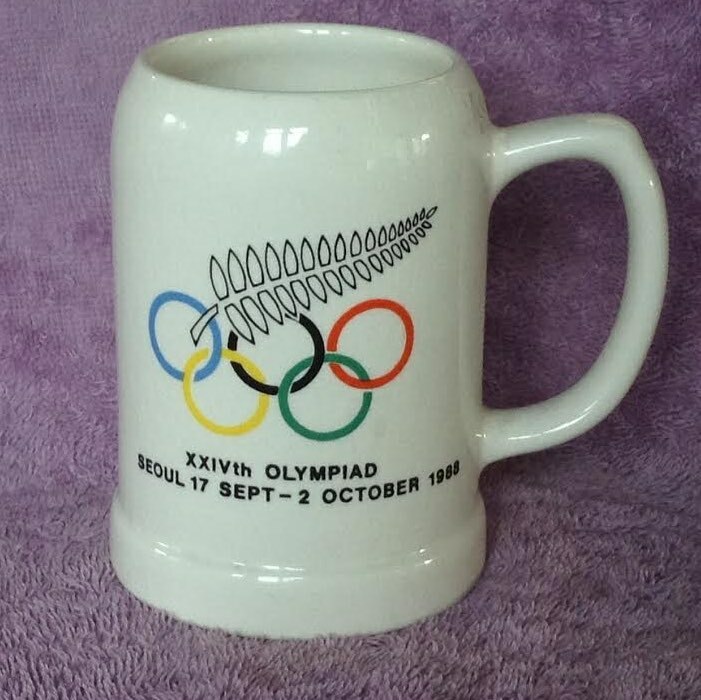 As per museum notes - I found that 'Olympic Games Pattern D 84100' was made on a 3064 (monster Mug) and also on a 1487 Tankard.